I can't say much about Mike Piazza, because his story is known, and as far as I know, he is a good guy. No women have accused him of abuse yet. 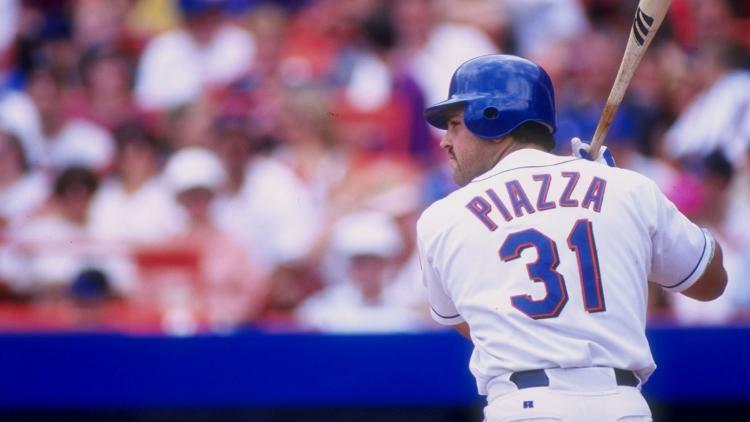 Twenty years ago yesterday, the Mets acquired him in a trade, and twenty years ago today, Mike Piazza played his first game for the Mets. His arrival signaled the start of a big money era for the Mets. For the Mets to make it to the playoffs going forward, they were going to have to be a bigger club, like their bully next door neighbors. He got them there. And he was easily the best cacher the Mets ever had. But I want to write this next point, finally, after 17 years. The worst thing Piazza ever did was deciding not to beat the living hell out of Roger Clemens in game 2 of the 2000 MLB championship (I don't use the W word). He had foreseen it. He knows he should have. I still wonder "what if" Piazza had not been classy, and instead tried to kill Roger. Could this championship series had gone longer? Would it have slowed down the Yankee dynasty, which ended the following year in Phoenix? Would it have helped the other Yankee haters, the Red Sox? What if?